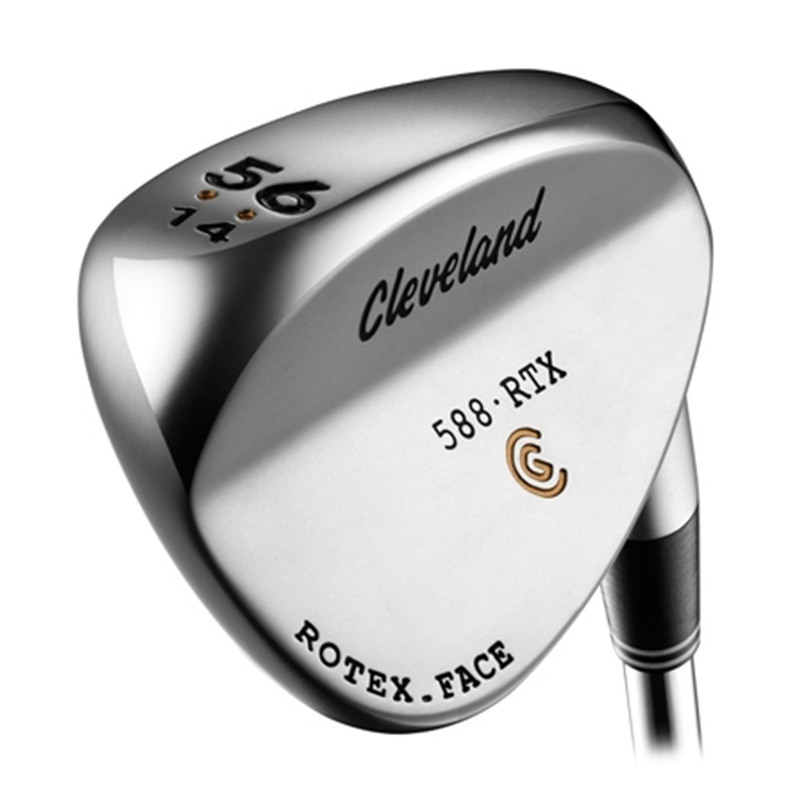 The fantastic Cleveland Golf 588 RTX Chrome Wedge is at the forefront of spin technology and combined with the legendary performance of the 588, allows you to attack the flag with confidence on each shot. 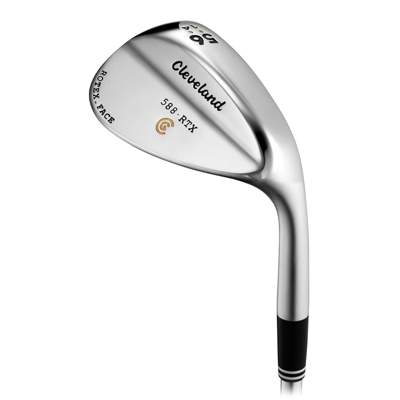 Cleveland Golf has implemented its most advanced spin technology on the face of the wedge. 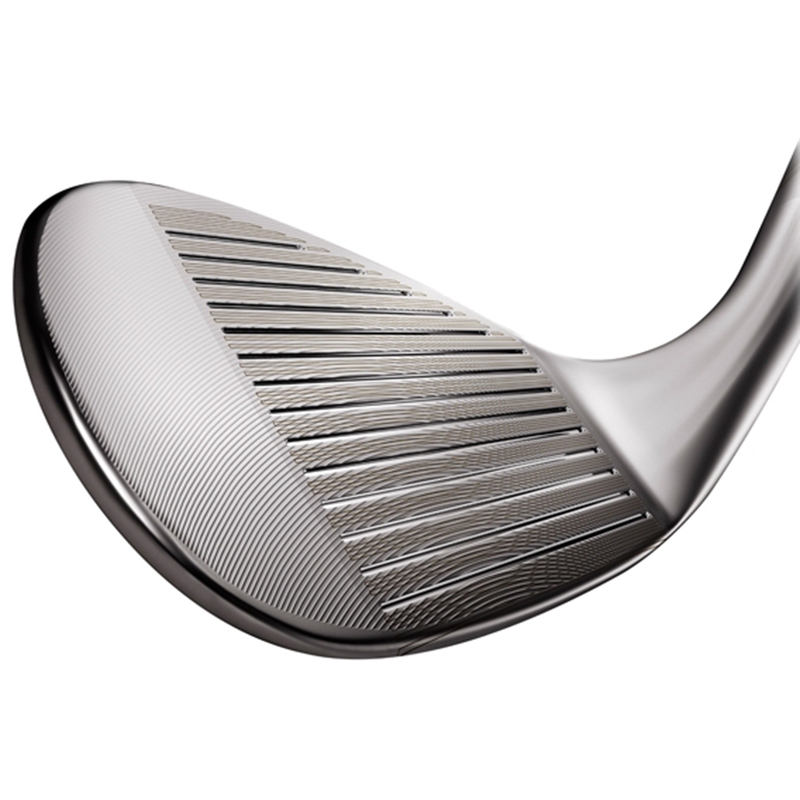 The Rotex Face features a directionally milled face pattern that adds extra roughness and imparts maximum spin on open-face wedge shots where impact tends to be closer to the toe. Further adding to spin created, the advanced surface roughness is extra durable and dimensionally optimised for even more friction at impact. Developed closely with tour players, this wedge has 16% larger U-Grooves which are designed to maximise spin on critical scoring shots, including rough, bunkers and wet turf. The Cleveland Golf 588 RTX Chrome Wedge also features an ‘s’ shaped sole which is preferred by both tour players and amateurs. With a wider sole near the heel and a narrow sole near the toe, bunker performance is improved without sacrificing versatility, helping you get up and down from all lies.